Full of tangy citrus flavor, these moist lemon cupcakes provide a perfect vehicle for billowy meringue frosting. 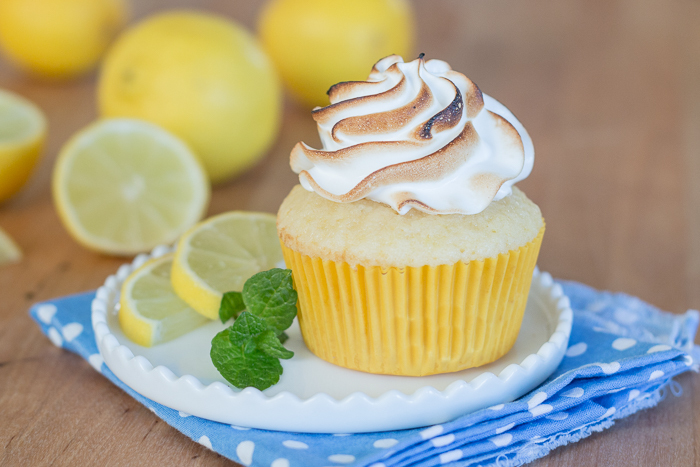 A sweet treat for lemon lovers, these Lemon Meringue Cupcakes are surprisingly simple to make. My practical-joke-loving daughter Eliza hatched a plan to wear a shirt that reads “Life” while handing out lemons to passersby…. These tender Buttermilk Cupcakes are full of sweet vanilla flavor. 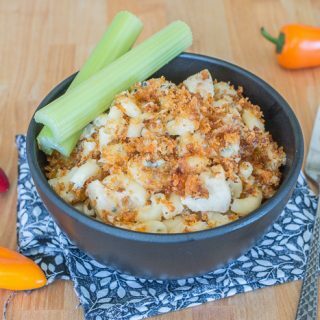 This mix-by-hand recipe is just as easy to prepare as box-mix cupcakes, but it tastes infinitely better. Simple, yet classic, these buttermilk cupcakes are super versatile. 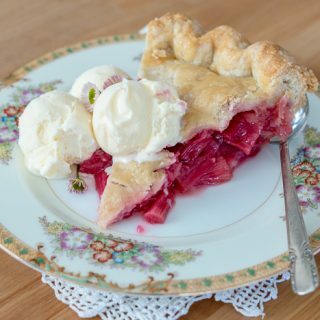 Tender in texture and full of sweet vanilla flavor, they pair well with anything from fruit to chocolate to caramel and beyond…. 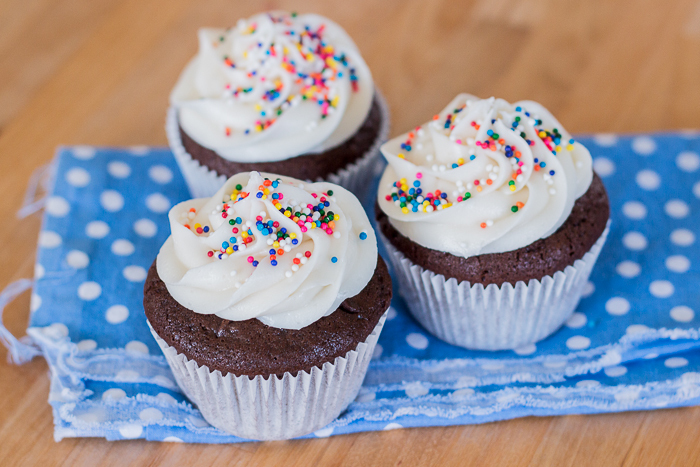 Mixed by hand, these Simple Chocolate Cupcakes are just as easy to prepare as box-mix cupcakes. 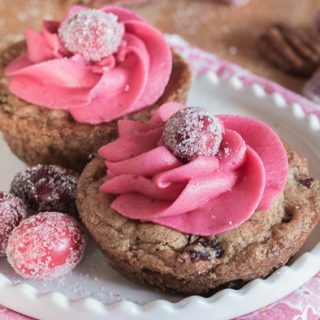 They’re rich, tender, and delicious, especially topped with Vanilla Frosting, which, like the cupcakes, is easy to make without an electric mixer. 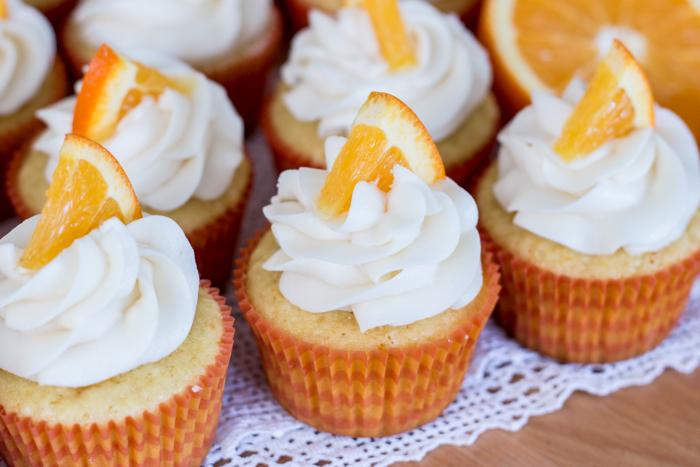 With fresh orange zest and juice mixed into the thick batter, these Orange Creamsicle Cupcakes bake into tender little treats with a deliciously sweet orange flavor. Topped with vanilla buttercream or freshly whipped cream, they’re reminiscent of the classic orange-vanilla frozen bars. When we arranged a cupcake decorating date with some friends a few weeks ago, I asked my kids what kind of cupcakes they wanted. Eliza suggested baking some that would taste like Orange Creamsicles…. 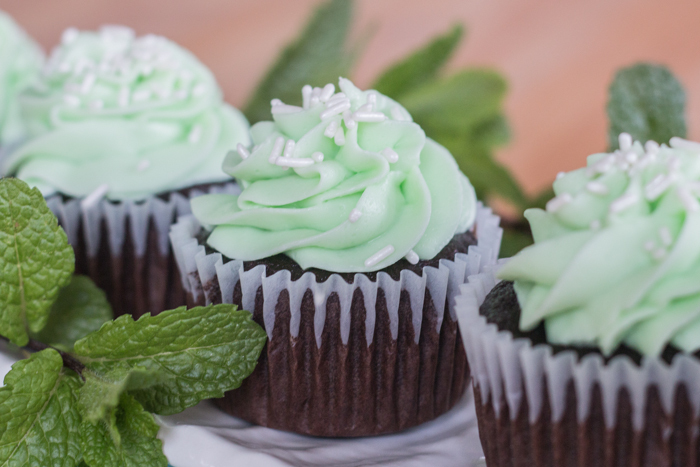 Inspired by the after dinner drink, these rich chocolate cupcakes topped with minty frosting come together as decadent and delicious Grasshopper Cupcakes. A few weeks ago, my husband ordered a Grasshopper after we’d finished up our meal at The Boxing Room in San Francisco. I’d never actually tried this after dinner drink that inspired Grasshopper Pie, one of my favorite childhood desserts, so I couldn’t help taking a few sips to see how I felt about it…. 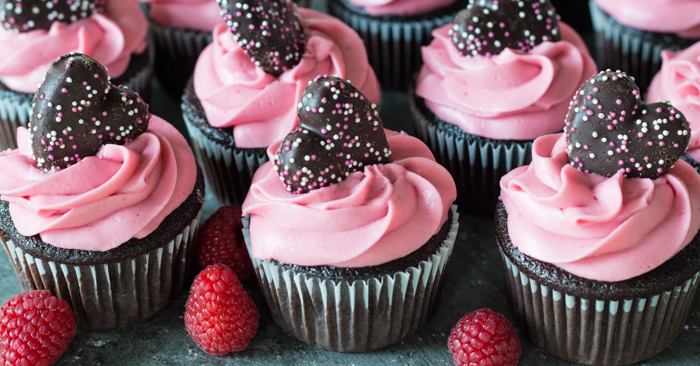 Fresh raspberries, Framboise, and plenty of dark chocolate come together in these decadent Raspberry Chocolate Cupcakes. Tessa, who’s seven, grabbed a box of little chocolate heart cookies at the store the other day. When my girls ask to buy cookies, I usually tell them that we should just make them ourselves…. 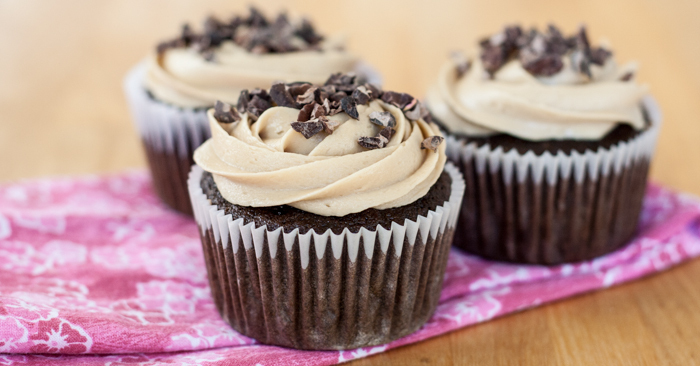 Kahlua Chocolate Cupcakes deliver rich chocolate flavor with warm Kahlua undertones. A simple espresso buttercream adds sweetness with an edge. 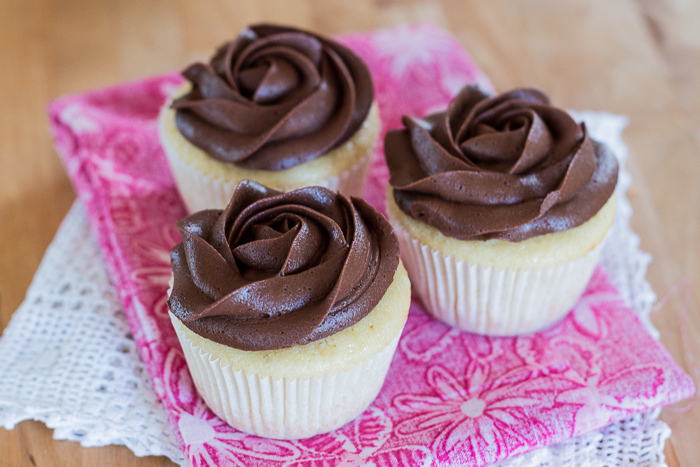 These little Kahlua Chocolate Cupcakes pack a big punch. Don’t let their petite cupcake cuteness fool you; they’re deep, dark, and decidedly indulgent with a shot of sweetness from the espresso buttercream frosting…. 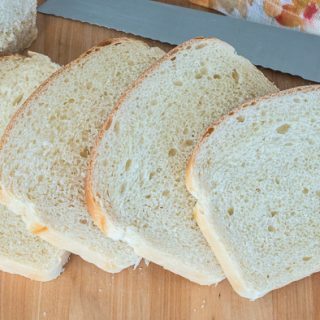 On Halloween, even your food can wear costumes! 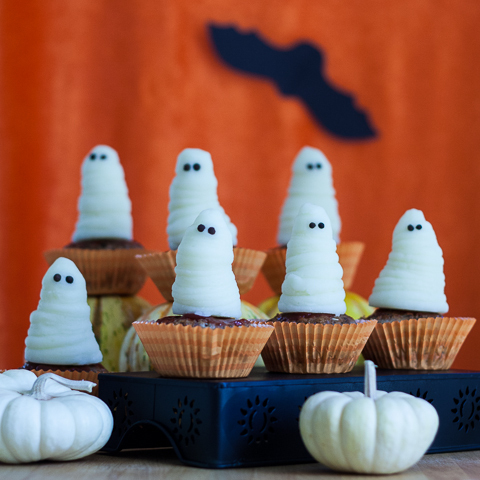 Serve dessert for dinner this year with these Spooktacular Halloween Meatloaf Cupcakes topped with mashed potato ghosts.